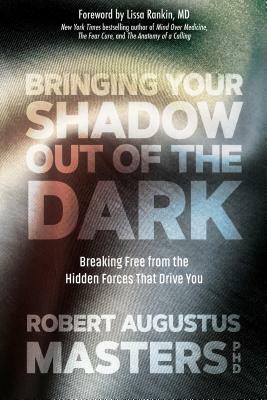 "Our shadow," teaches Robert Augustus Masters, "is our internal storehouse for the parts of us that we've disowned or rejected, or are otherwise keeping in the dark." Everyone has a shadow, but all too many of us are unaware of it. It holds the feelings and beliefs that we are most ashamed of or cannot accept about ourselves. For some, it may contain unacknowledged anger or grief. For others, pain or fear. Our shadow contains our unfaced conditioning. And the more unaware we are of our shadow, the more it influences and controls us. Based upon Masters's four decades as a psychospiritual therapist and guide, Bringing Your Shadow Out of the Dark invites readers to understand and skillfully work with this rich yet neglected dimension of ourselves. With depth and clarity, he illuminates the process of meeting our shadow in beneficial ways, and how we can embody a more complete and life-giving experience of who we are. When we uncover and work in-depth with our shadow, we free ourselves from its control and gain the opportunity to put its contents to work for us instead of allowing them to work against us. Bringing Your Shadow Out of the Dark shows us how to navigate the full terrain of our emotions, drives, needs, and depths of who we are. Foreword by Lissa Rankin, MD, New York Times bestselling author of Mind Over Medicine, The Fear Cure, and The Anatomy of a Calling. Robert Augustus MastersRobert Augustus Masters, PhD, is an integral psychotherapist, relationship expert, and spiritual teacher whose work blends the psychological and physical with the spiritual, emphasizing embodiment, emotional literacy, and the development of relational maturity. He is the author of fourteen books, including Transformation through Intimacy and Spiritual Bypassing.Lissa RankinLissa Rankin, MD, New York Times bestselling author of Mind Over Medicine, The Fear Cure, and The Anatomy of a Calling, is a physician, speaker, founder of the Whole Health Medicine Institute, and mystic. Passionate about what makes people optimally healthy and what predisposes them to illness, she is on a mission to merge science and spirituality in a way that not only facilitates the health of the individual, but also uplifts the health of the collective. Bridging between seemingly disparate worlds, Lissa is a connector, collaborator, curator, and amplifier, broadcasting not only her unique visionary ideas, but also those of cutting-edge visionaries she discerns and trusts, especially in the field of her latest research into "Sacred Medicine." Lissa has starred in two PBS specials and also leads workshops both online and at retreat centers like Esalen and Kripalu. She lives in the San Francisco Bay Area with her husband and daughter. For more, see LissaRankin.com.